Only by the Grace of God now available! Former internee, Pamela Brink, has announced that her new book, Only by the Grace of God, is now available. She and her family were interned in three camps during the War: Cebu, Santo Tomás , and Los Baños Internment Camp. Pamela was only eight-years-old when first interned, but the book also includes the memoirs of her late brothers, Robert and John Brink. The family all survived the War and were repatriated on the M.S. Torrens, arriving in San Francisco on 15 May 1945. Pamela J. Brink, Robert A. Brink, and John W. Brink all survived the ordeal, but only one of them–Pamela–is still alive today. 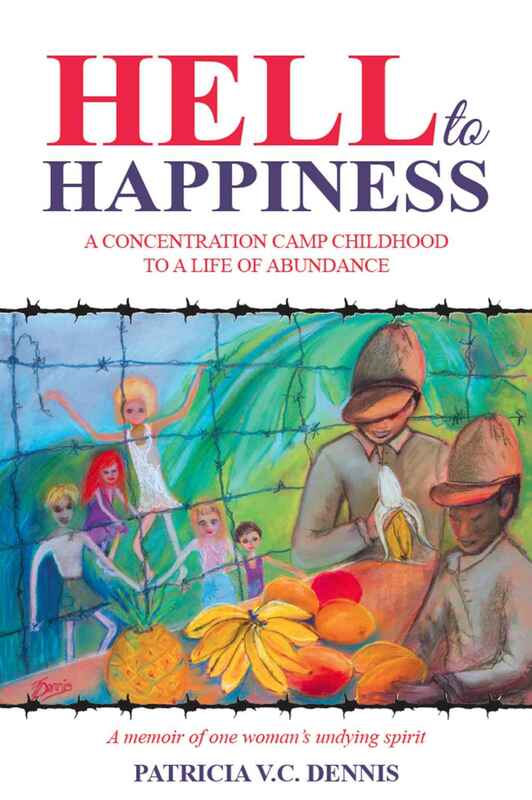 She shares their experiences in this memoir that recounts the horrors of war as seen through the eyes of children. 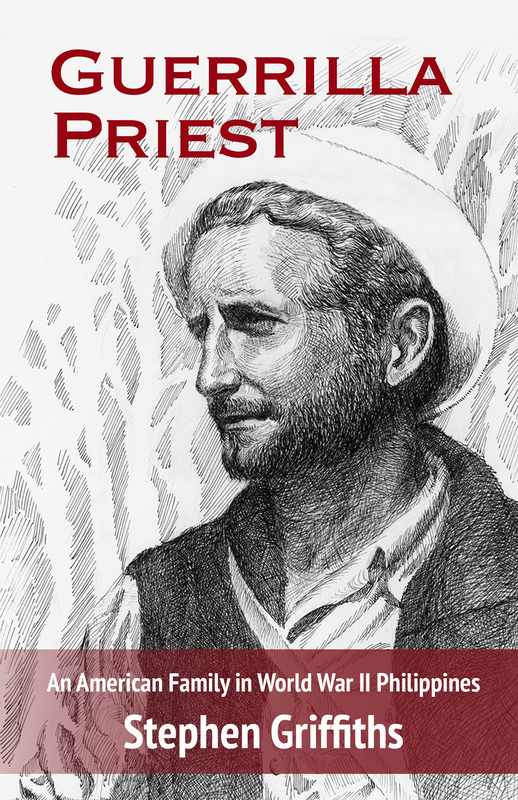 Stephen Griffiths’ book, Guerrilla Priest, is now available. Griffiths based his book on the unpublished memoirs of his parents, Alfred and Ernestine Griffiths. “Guerrilla Priest” captures a special moment in the history of the Pacific War: the formation of the first guerrilla resistance against the Japanese in northern Luzon, Philippines. Major Walter Cushing, Chief Puyao of the Tingguian village of Balbalasang, and Al Griffiths, an Episcopal priest, were key figures in this resistance. Guerrilla Priest describes the events that led to the ambush at Lamonan—disastrous for the Japanese—and the aftermath of that ambush for those who participated. The book also provides an intimate glimpse of the American colonial experience in the Philippines, its impact on the Tingguian people, and a portrait of Japanese soldiers and their commanders that defies stereotype. But perhaps most significantly, it tells the story of how a young American family—Al Griffiths, his wife Nessie, and their infant daughter Katy—managed to survive a horrific war. From an Associated Press article, “former Indiana Governor Edgar Whitcomb, who escaped from a Japanese prisoner camp by swimming overnight during World War II and then made an around-the-world solo sailing trip while in his 70s, has died at age 98. The Republican small-town lawyer, who was quick to veto legislation even though the Legislature was controlled by fellow Republicans, died on Thursday, according to his daughter, Patricia Whitcomb. He began a years long quest around the world in 1987, more than a decade after leaving office, that included seeing his sailboat sink off the coast of Egypt. “Governor Ed Whitcomb was a great man whose life of courage, service and adventure inspired generations of Hoosiers and he will be deeply missed,” Gov. Mike Pence said in a statement Thursday, adding that the former governor died at his home near the Ohio River community of Rome, Indiana. Whitcomb was born in the southern Indiana town of Hayden and was a student at Indiana University before enlisting in the Army Air Corps in 1940, becoming a navigator for B-17 bombers. Courtesy of Wikipedia.com: Edgar Whitcomb was born on November 6, 1917 in Hayden, Indiana, the second child and first son of John Whitcomb and Louise Doud Whitcomb. An outgoing and athletic youth, he was a member of his high school basketball team. He entered Indiana University in 1939 to study law, but quit school to join the military at the outbreak of World War II. He enlisted in the United States Army Air Corps in 1940 and was deployed to the Pacific Theater. He was commissioned as a Lieutenant in 1941 and made an aerial navigator. He served two tours of duty in the Philippines and was promoted to Second Lieutenant. During the Philippines Campaign, Whitcomb’s base was overrun; he was captured by the Japanese and was beaten and tortured by his captors, but was able to escape. Recaptured a few days later, he escaped a second time and was hunted for several more days but was able to evade his pursuers. He escaped by swimming all night through shark-infested waters to an island unoccupied by the Japanese army. He was eventually able to secure passage to China under an assumed name where he made contact with the United States Army and was repatriated in December 1943. He wrote a book about his experience entitled Escape from Corregidor, published in 1958. He was discharged from active duty in 1946, but he remained in the reserve military forces until 1977 holding the rank of colonel. Following the war, he returned to and graduated from Indiana University Robert H. McKinney School of Law. 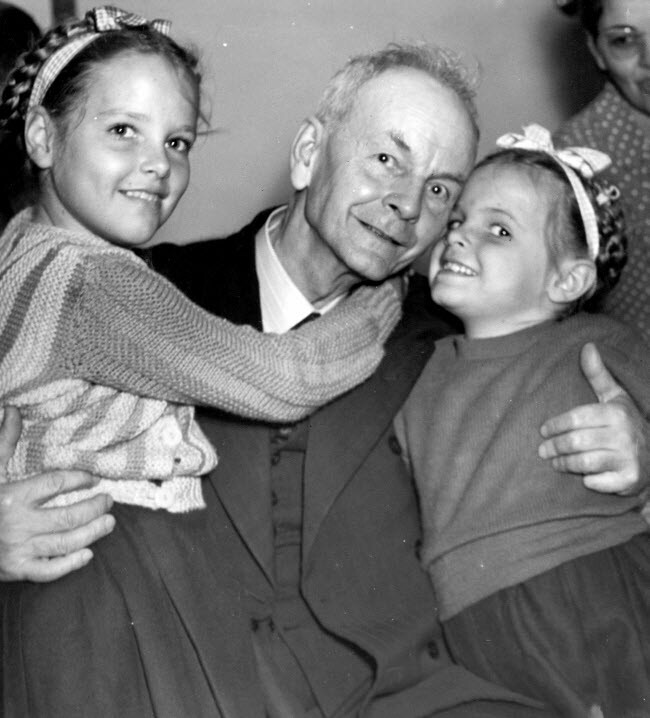 He met and married Patricia Dolfuss on May 10, 1953, and the couple had five children. Served as governor of Indiana from 1969-1973. Robert Fred Johnson was the alias of Edgar D. Whitcomb, a POW escapee, who was on a B-17 aircrew for the U.S. Army Air Force. See “The Amazing Story of Edgar Whitcomb” which appears in Captives of Empire, 2006, by Greg Leck, page 301. He was repatriated aboard the S.S. Gripsholm in 1943. See book Profiles in Survival: The Experiences of American POWs in the Philippines during World War II, pages 491-584, by John C. Shively, 2011. Theresa Kaminski’s Angels of the Underground tells the story of four American women who were part of this little-known resistance movement: Gladys Savary, Claire Phillips, Yay Panlilio, and Peggy Utinsky – all incredibly adept at skirting occupation authorities to support the Allied war effort. The nature of their clandestine work meant that the truth behind their dangerous activities had to be obscured as long as the Japanese occupied the Philippines. If caught, they would be imprisoned, tortured, and executed. Throughout the Pacific War, these four women remained hidden behind a veil of deceit and subterfuge. An impressive work of scholarship grounded in archival research, FBI documents, and memoirs, Angels of the Underground illuminates the complex political dimensions of the occupied Philippines and its importance to the war effort in the Pacific. Kaminski’s narrative sheds light on the Japanese-occupied city of Manila; the Bataan Death March and subsequent incarceration of American military prisoners in camps O’Donnell and Cabanatuan; and the formation of guerrilla units in the mountains of Luzon. Angels of the Underground offers the compelling tale of four ordinary American women propelled by extraordinary circumstances into acts of heroism, and makes a significant contribution to the work on women’s wartime experiences. Through the lives of Gladys, Yay, Claire, and Peggy, who never wavered in their belief that it was their duty as patriotic American women to aid the Allied cause, Kaminski highlights how women have always been active participants in war, whether or not they wear a military uniform. 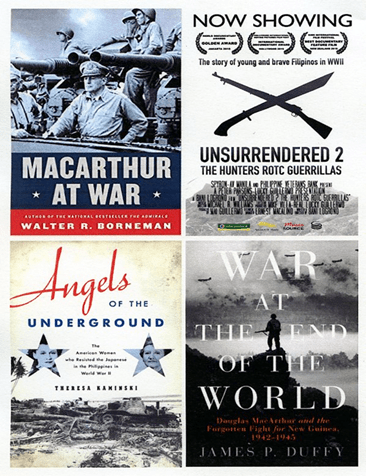 Theresa Kaminski’s other books include Prisoners in Paradise: American Women in the Wartime South Pacific and Citizen of Empire: Ethel Thomas Herold, an American in the Philippines. She is also co-author of the book Enduring What Cannot Be Endured: Memoir of a Woman Medical Aide in the Philippines in World War II , published in 2000.